Russia is one of the more powerful nations in the world. With the power, however, comes enemies. 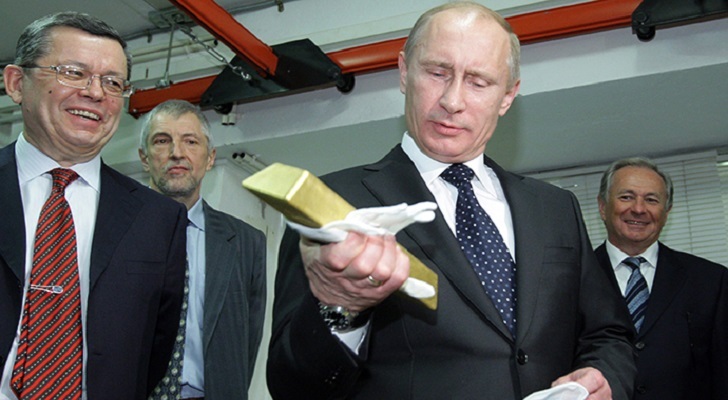 One of its enemies has a slight financial hold over Russia, and that power comes in the form of Dollars. The relationship between the east and west is now at a stalemate; Moscow’s reaction to western encroachment and accusations comes from President Vladimir Putin, who has proposed to withdraw the Russian state from the international banking system, moving towards a more traditional gold-based system. Many economists have informed the world leaders of the consequences facing them if they remove Russia from the SWIFT system. Ewald Nowotny, an economist and a policy maker for the European Central Bank highlighted how if Russia is removed from the SWIFT system international companies conducting business in Russia will be the first to suffer. However, according to Elvira Nabiullina, a Russian economist and former economic advisor to President Putin and the head of the Central Bank of Russia, if Russia is removed from the Worldwide Interbank Financial Telecommunications then Russia’s banks won’t collapse. She explained how they have devised a new system that will continue operations in the SWIFT format and will work as an alternative for the country. According to Mac Slavo who writes forSHTFplan, the NGOs ran by Soros have been questioned and kicked out, along with Rothschild establishments.